Well my friends, summertime is finally upon us. The days are long, the weather is warm, and the good times keep on coming. ‘Tis the season for (yoga) festivals, and I’ve been toting my mat along with me on all my travels. Let’s just say that after a brutal New England winter, I’ve put in a few extra rounds of Sun Salutations to honor the sun! Where will your practice take you this summer? I’ve compiled a list of my favorite festival essentials for the wandering yogi, that will take you from the shores of your first SUP (Stand-Up Paddleboard) class to your deepest Savasana. Super cute, and equally comfy, Buddha Pants will quickly become your go to harem pant. 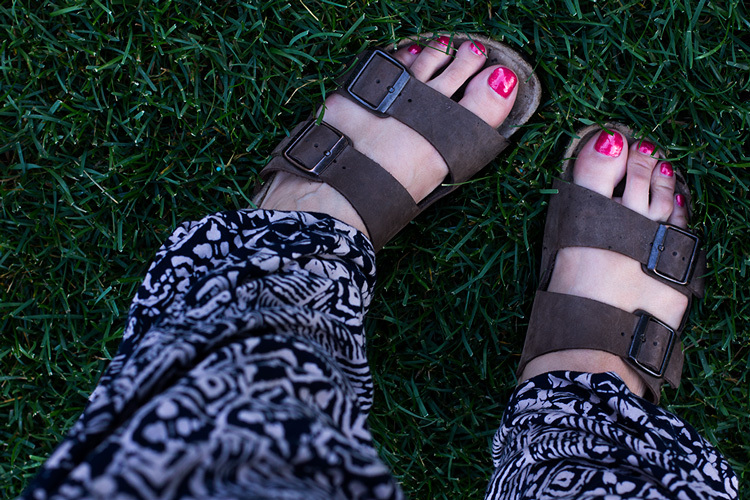 The perfect choice for lounging in the grass, flowing through vinyasas, or as a yoga prop - I picked up my first pair at Wanderlust, and it’s been really hard to take them off. Made from organic cotton, they are available in a ton of prints, and naturally dyed. PLUS, they fold up into their own pocket for easy packing, and become a yoga pillow. Festival life can be exhausting, so remember to take care of your feet while you’re out there having fun! I’ve been rocking the same pair of Birkenstocks since I was 15, and they haven’t given out on me yet. Supportive, comfortable, and dare I say, fashionable - I can walk for hours in these shoes with no complaints. Tend to your toes, and your practice will thank you. Who doesn’t love a little yoga humor? 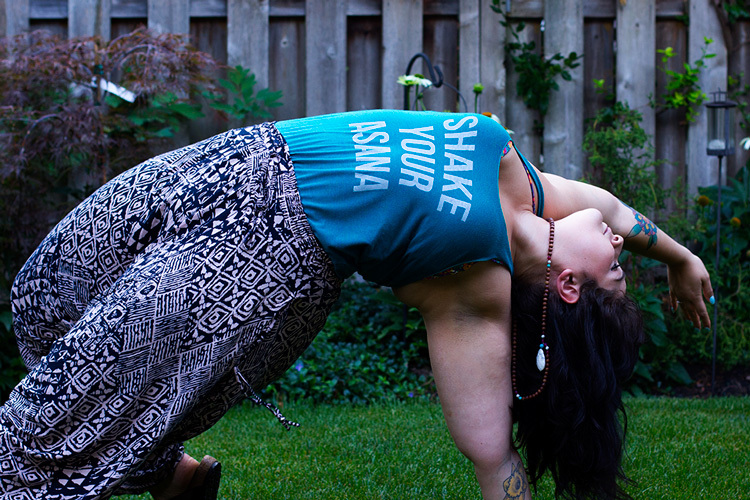 Vancouver-based brand Inner Fire, has got you covered with their Laughing Yogi Collection. Made in the USA, and printed in Canada, these soft cotton tanks will keep you cool in the summer sun. Check out their awesome leggings (made from recycled plastic bottles) too! Home is where your mat is! Durable, and lightweight, the Manduka ProLite is perfect for my travelling practice. I bring my mat with me on every plane, train and automobile; at this point it has seen the world. I find is comforting to know, that though the location may change, my practice remains the same. I love to throw on an easy sundress to cool down post practice. Whether you’re showing off your crazy hooping skills, or blissed out after a sweaty flow, you’ll look perfectly put together in this flowing maxi dress by Pink Stitch. Bonus, your friends will be able to spot you in a field of black leggings. I know you’re dying to try a SUP yoga, so don’t forget your bikini! I picked up this great Brazilian swimsuit when I was in Sao Paulo, but the brand is available at Anthropologie too! Their suits come in a variety of styles and prints to mix and match, and there is a cut for every body type. The fit is seriously phenomenal. You can focus on rocking your wheel pose, or splashing in the waves, and rest assured your bikini will stay put. In the midst of festival madness, make some time for meditation. Get comfortable, relax, and connect with your breath. 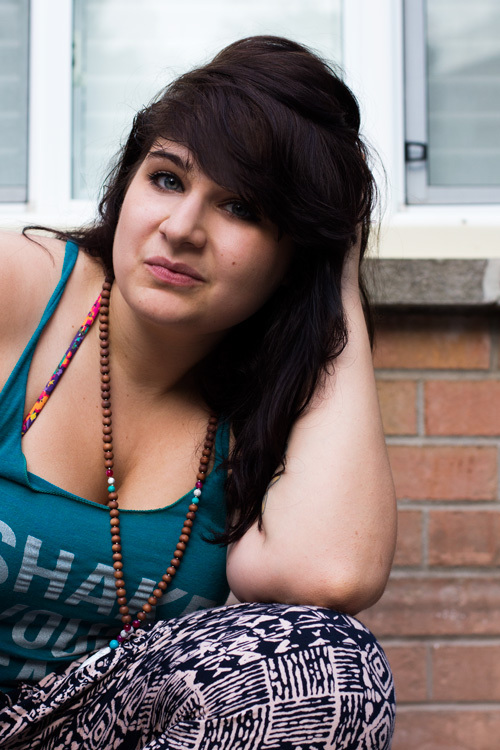 I bring (and wear) my mala beads with me everywhere as a reminder to live my intentions. I love the qualities of The Rock Your Bliss Mala by Tiny Devotions - howlite to release stress and let go, fuschia agate for protection and strength, and turquoise to promote balance. 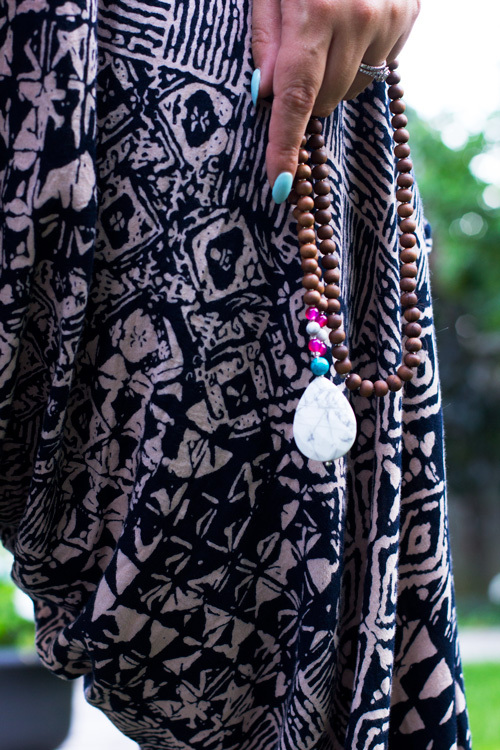 Find a mala that will help you manifest all that you need in this moment. We all love that warm summer sunshine, but those harmful UV rays will damage your skin. Be sure to slather yourself with sunscreen (and reapply generously every two hours) to avoid sunburn. I’ve got a few tattoos, so I take extra care and load on that SPF to prevent fading. When sipping from coconuts all day long is not an option, I go with my glass bkr bottle. Light, and bright - this little bottle will have you hydrating yo’self in style. Plus, bkr donates to the world water crisis with every purchase. Repping my Canadian roots (see what I did there) with a classic flat bag. The Village Bag Tribe from Roots is the essential cross body travel bag. With pockets galore, this purse is small, but mighty. It fits everything you need, without being bulky in a crowd. Did I forget something? What are your yoga festival essentials? Let me know in the comments below. Happy wanderlust-ing, friends! Until next time, peace + love. Hello friends, I hope you are all doing well. Pedro and I (and Rudie) drove up to Canada a couple of weeks ago, and have been enjoying spending time with our friends + family, and visiting all our old stomping grounds. There's been lots of good food, lots of good times, lots of yoga, and so much love (that my heart could burst). A couple weekends ago, my friend Leandra and I (along with a slew of other Toronto yogis), braved the cold + wet weather to participate in the world's kindest triathlon. Wanderlust 108 is a mindful triathlon - a 5K + yoga sesh + meditation. About halfway through the 5K, it started POURING rain (which we expected), and the puddles in my shoes sort of slowed me down. Eventually I ran back through that Wanderlust gate and it felt OH SO GOOD. There were some issues with planning and organization (we actually ended up running 5+ miles, not 5 kilometers), and the festival got a little rained out (a lot of people seemed to leave after the run), but we stayed, and made the best of it! We joined in on the shortened yoga + meditation practice, and moved with some 50+ weather warriors who stuck it out and danced in the mud. All was not lost, we found shelter under the vendor tents, and picked up some awesome yoga wear. I grabbed some Buddha Pants, and seriously guys, it was the best decision I've ever made. They are a dream. I already ordered more, because I know I am going to live in them. Begone constricting leggings, hello (organic, naturally-dyed, American-made) free-flowing harem pants. 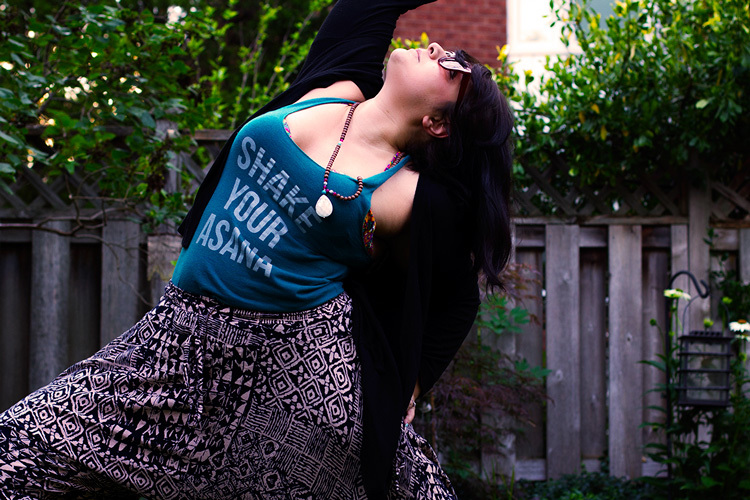 I also managed to snag a couple Inner Fire tanks with fun sayings on them (like Shake Your Asana, haha), and I was super happy to be able to support the Vancouver-based brand. I didn't take too many photos, because, well, it was pouring, and I didn't want to break my phone/camera. Despite the inclement weather, we had fun. Here's hoping next year I make it to Wanderlust proper and get to experience the full festival.